These days, having cosmetic surgery to enlarge your breasts is considered a common procedure. It’s no longer a hushed conversation among friends. In fact, many women love to boast and show off their new features. Why shouldn’t they? Breast implants can be the catalyst for positive health benefits including boosting a woman’s self-esteem. Prior to the big day, there are usually several appointments to prepare for the procedure. The first appointment is considered the initial consultation. While attending the consultation, the physician will ask you a question similar to the following, “What would you like to see different?” In the category of most popular responses comes the answer, “Bigger breasts!” Many women follow-up this answer with a suggested breast cup size. Since the dawn of implants, there have been significant changes in technology that have granted women more choices than ever. Breast implants provide the option to gain larger breasts and they also allows a person to choose their shape, profile and “feel.” Implants are not necessarily measured in cup sizes. They are actually measured in cubic centimeters or cc. 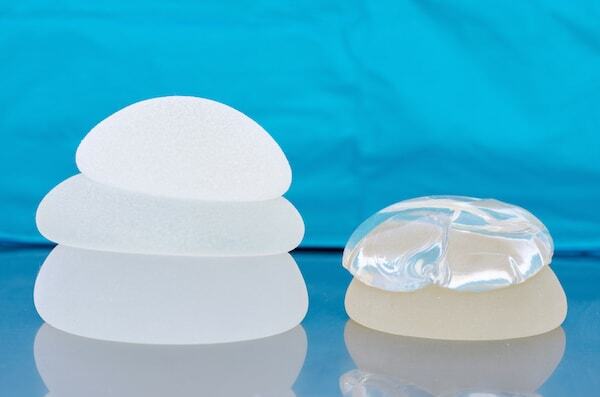 So, how do you choose your breast implant size? 1) What do I want to look like? Browse the web for breast augmentation images. Look at various before and after photos to get an idea of what you want to look like. Print these visual aids as well as some images of clothed models. Study them and ask yourself what you like about these images and why. Take these images with you to your appointment as this will give the doctor a good idea of your desired look. 2) How can I ensure my new breasts fit my current lifestyle? Many people say that “bigger is better” but this is not always the case with breast augmentation. When considering implants, you should keep in mind that the size of your implants should not impede your current lifestyle. For example, an athletic person may not manage going from a smaller breast size to larger breasts very well. Remember that cosmetic surgeons have performed breast implants on many women with different shape and size breasts. He or she will be able to help you make an appropriate choice for your size and lifestyle. It is important to clearly express your desires with your physician as well as closely follow their recommendations because there are many reasons why breast implants may not be for you. Your current breast size may limit your implant size. This is because you must have enough breast tissue in order to cover the implant. Furthermore, your chest and shoulder width plays a very large part in the choice of a safe and natural looking implant size. Luckily, technology has provided surgeons with the knowledge of creating various base widths which allow a patient to receive implants which work well with their frame. Are you still not sure what size implant is best for you? For many women, the most exciting appointment in the whole process is the implant sizing session. During this session, you will be given a special bra that fits a variety of shapes, sizes and profiles of implants so that you can see how each implant alters your silhouette. Be sure to bring a friend to this appointment because friends can help keep you in perspective as you see the different “you” views. You will also want to bring a light colored and low cut t-shirt to the sizing appointment. The light color will assist with accenting your curves and the low cut shirt will help you perceive your ideal cleavage.